Ballylongford is a small town in north County Kerry, a little inland from the south side of the Shannon Estuary; its citizens include both Brendan Kennelly and Lord Kitchener. You should be able to see the area on this Google map. 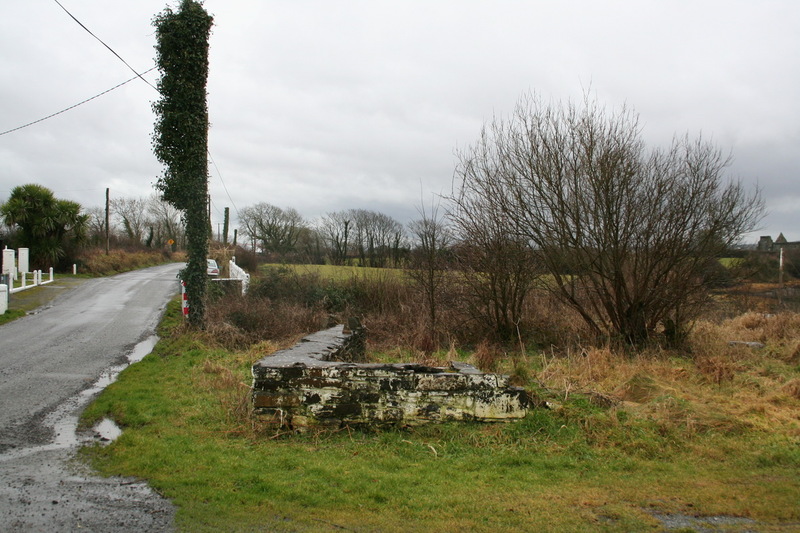 AGHAVALLIN […] a parish, in the barony of IRAGHTICONNOR, county of KERRY […] containing, with the town of Ballylongford and the of Carrigue, 5688 inhabitants. 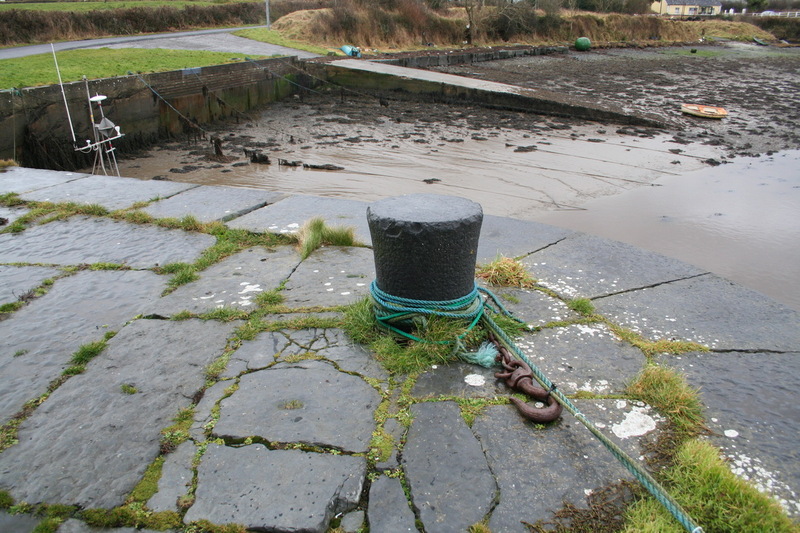 This place anciently belonged to the O’Connors of Kerry, whose principal seat, Castle Carrig-a-foile, signifying in the Irish lan guage “the rock of the chasm,” was situated on the south-west side of the inlet between the main land and the small island of Carrigue, which is encircled by the river Shannon. This castle was defended on the land side by a double wall flanked with circular and square bastions, which are still remaining, and was fortified against Queen Elizabeth by O’Connor, who placed in it a garrison under the command of Julio, an Italian officer. The castle, with the entire barony, excepting only one estate, was forfeited by the O’Connors of Kerry, in 1666, and conferred by the act of settlement upon the Provost and Fellows of Trinity College, Dublin. 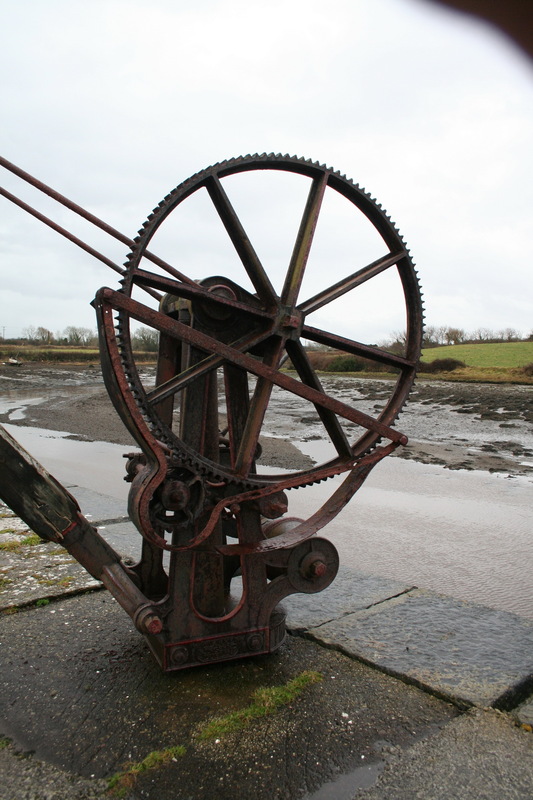 The parish is situated on the river Shannon, and within a mile and a half of the high road from Tralee to Limerick, and comprises 15,152 statute acres, as applotted under the tithe act. About one-third of it is good arable land, rather more than one-third of a coarser quality, and the remainder is mountain pasture and bog. I omit details about gentlemen’s seats, religious organisation and education. Many years ago, I thought the College Bog was on the ground floor of No 4 Front Square, but I gather from Lewis that there was another one in Co Kerry, where the Reid Sizars come from (ostensibly). 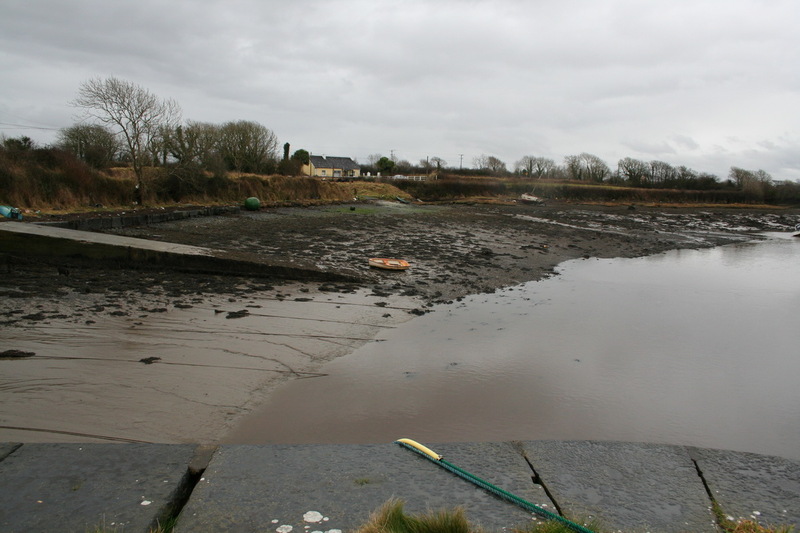 Note the amount of water-borne traffic: limestone and sea manure (seaweed used as fertiliser; sometimes includes sea sand) in, turf and potatoes out; some fishing (for plaice and mullet, Lewis tells us elsewhere). 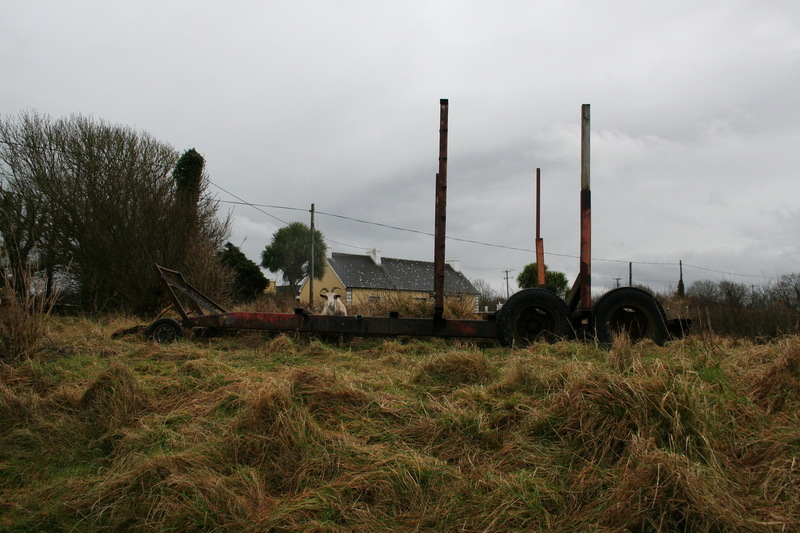 The steam-boat may have been the PS Garryowen, which came on station in 1833, sailing from Limerick to Kilrush and serving some places in between, although there were other steamers on the route at that and at other times. 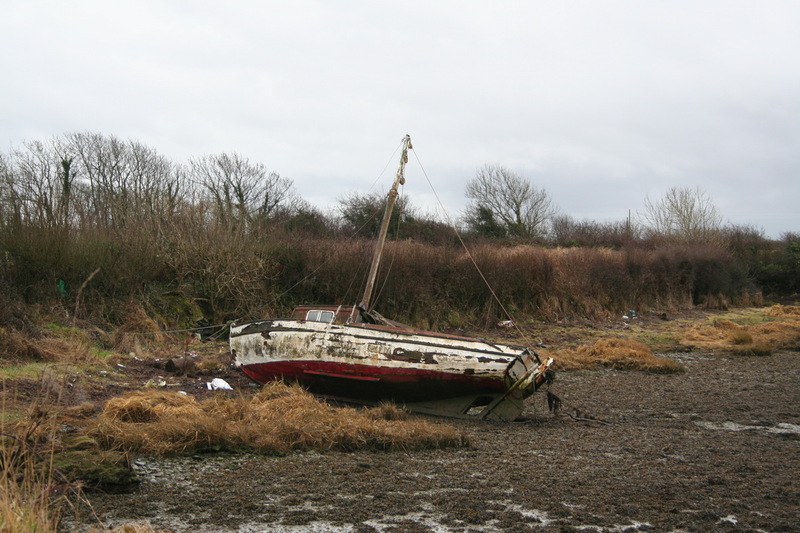 Lewis has an entry about Carrig, the island at the mouth of the Creek. 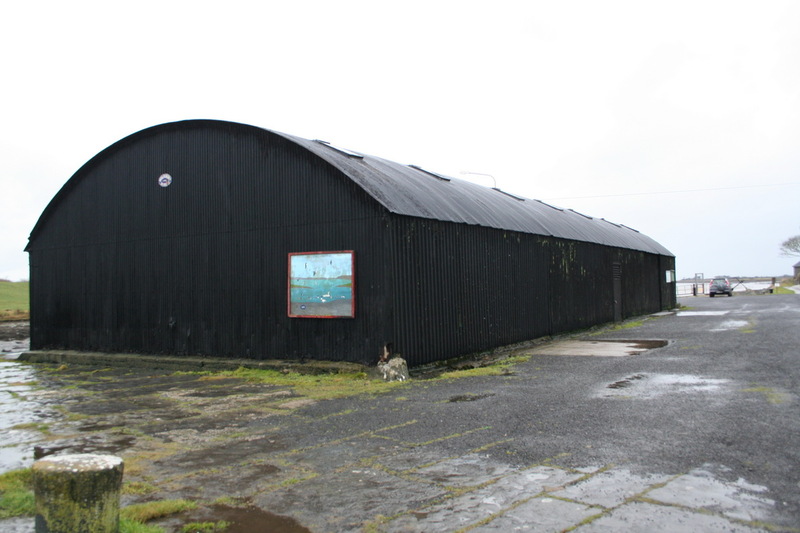 It had one of the batteries built to defend the Shannon Estuary against Napoleon; “Inniscattery” (Scattery Island) had another. 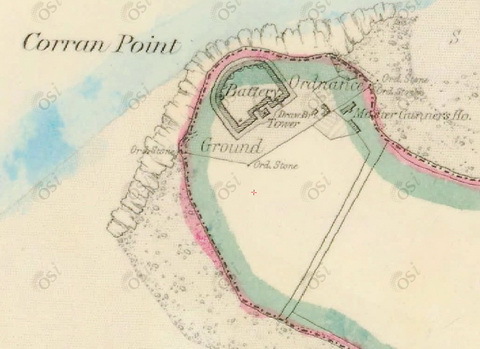 Here is an extract from the Ordnance Survey historic map, showing Corran Point, the western tip of Carrig Island. 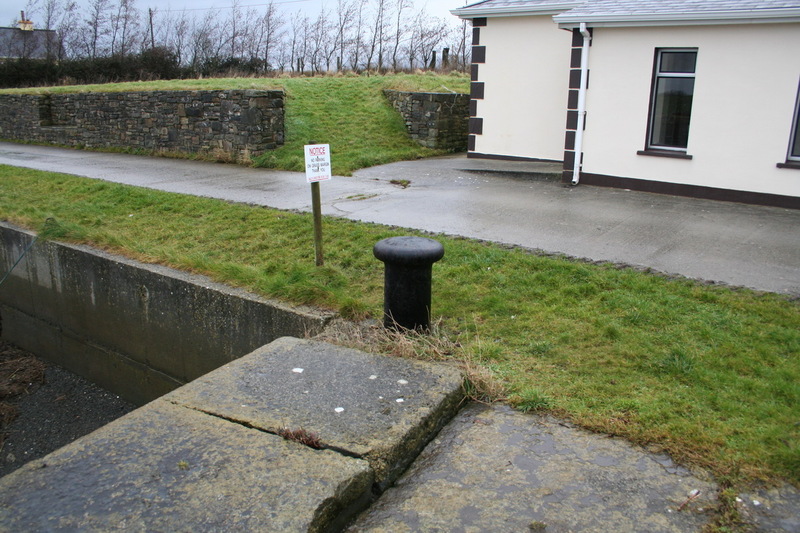 Four of the six estuary batteries were like this: six guns, a moat and a tower (which was designed to carry two howitzers). Doonaha had only four guns and Tarbert had seven in a five-sided battery. 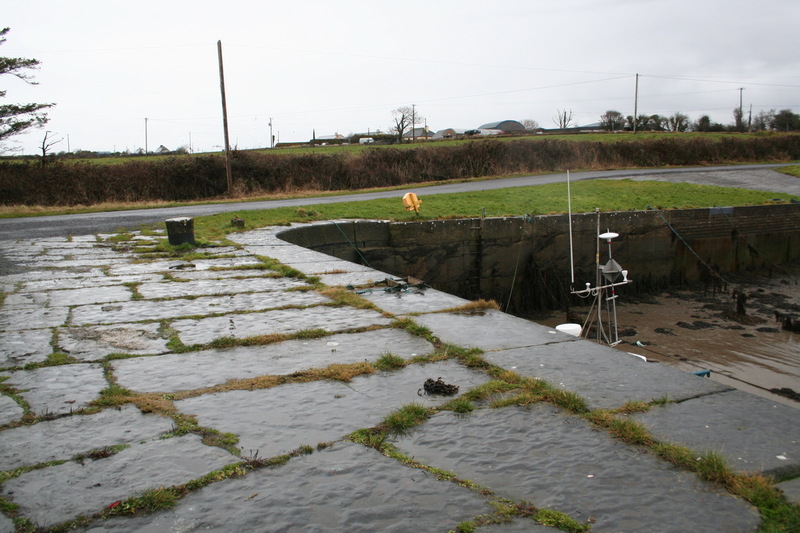 Clare County Library has an article by the learned Paul M Kerrigan about the estuary defences. 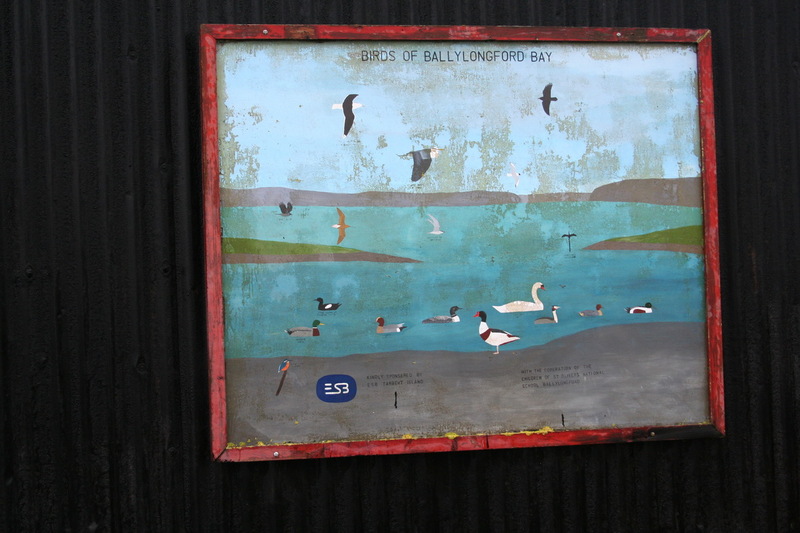 BALLYLONGFORD […] is situated on the road from Tarbert to Ballybunnian, at the head of an estuary or creek of the river Shannon, and contains about 300 houses. 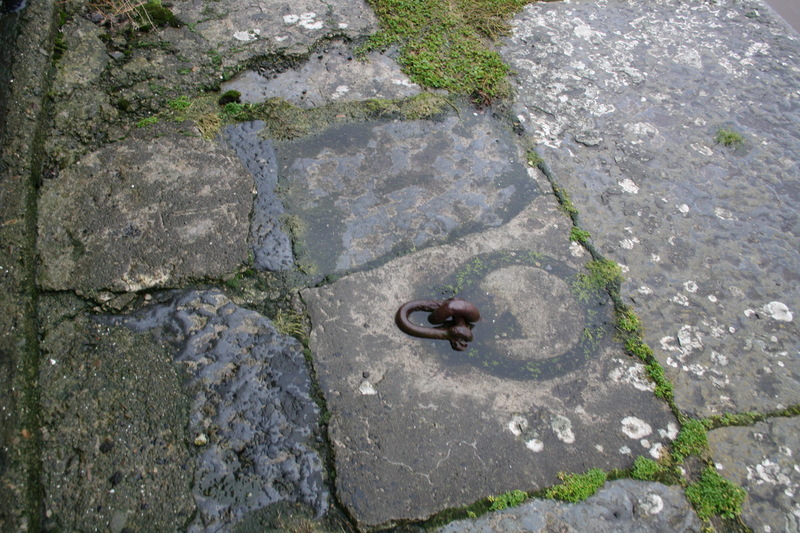 Its position is favourable for the export trade, the creek forming a port for lighters which carry corn and turf to Limerick; the trade in turf is very considerable from the vast supply afforded by the extensive tracts of bog in the vicinity, forming part of the possessions of Trinity College, Dublin. 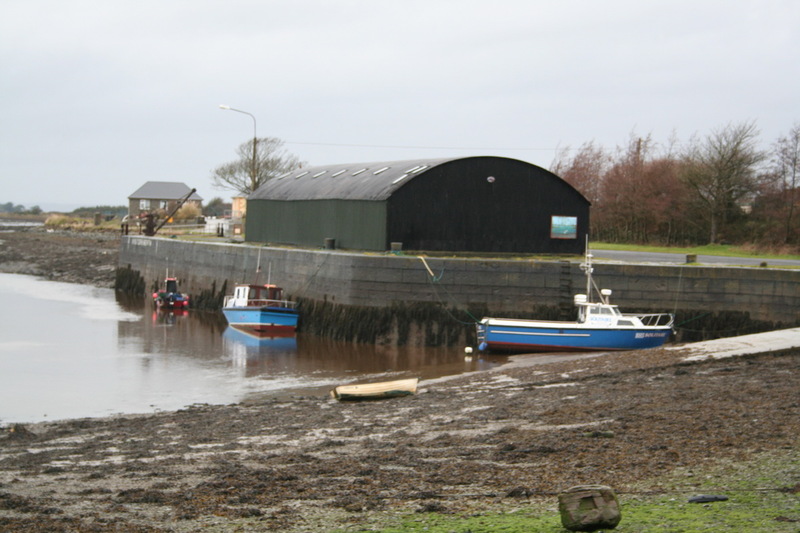 The harbour has 16 feet of water at high tides, and is capable of being made one of the best on the Shannon; but that of Tarbert being considered to possess superior advantages, is more likely to be improved. A fair or market is held every alternate Thursday, chiefly for pigs and cattle. This place has a penny post dependent on Tarbert. 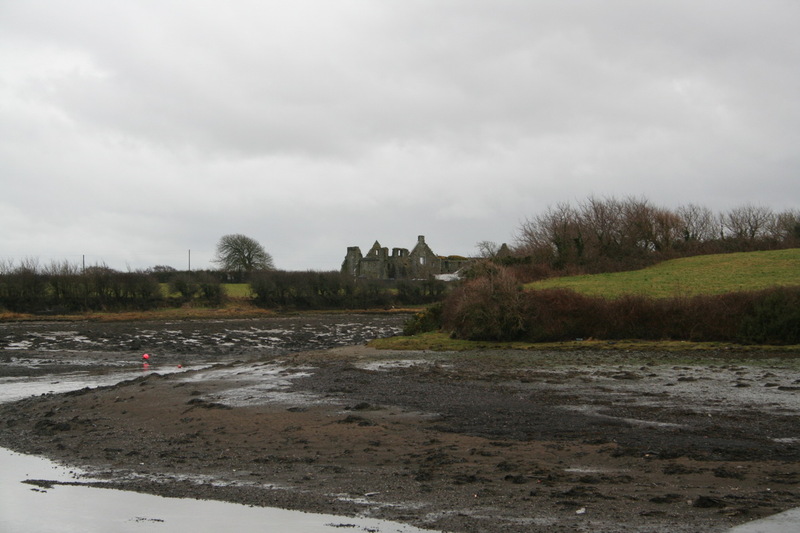 […] In the vicinity of the town, but in Kilnaughten parish, are the extensive and picturesque ruins of Lislaghtin abbey. 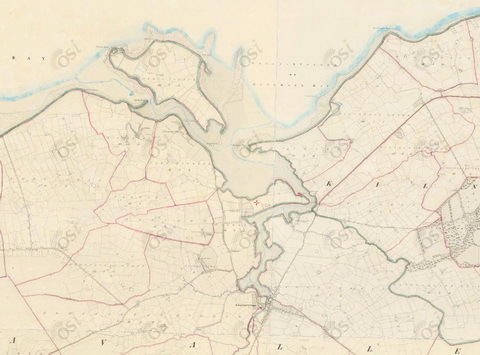 The Parliamentary Gazetteer of Ireland, adapted to the new poor-law, franchise, municipal and ecclesiastical arrangements, and compiled with a special reference to the lines of railroad and canal communication, as existing in 1844-45; illustrated by a series of maps, and other plates; and presenting the results, in detail, of the census of 1841, compared with that of 1831. A Fullarton & Co, Dublin, London, and Edinburgh, 1846. The town, though hitherto poor and of unattractive aspect, possesses some importance as a place of direct shipment for the produce of the neighbouring district. 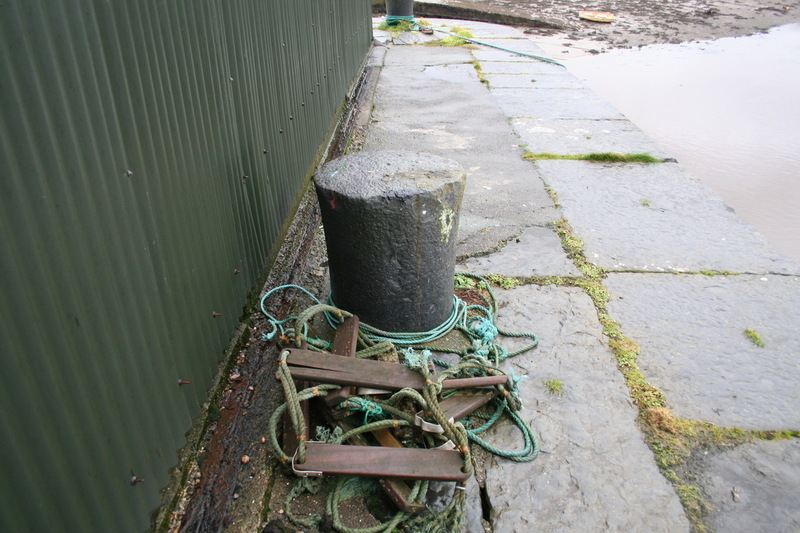 A small quay was long ago erected at Saleen, but is in a bad situation, and not sufficiently commodious for the present traffic, and, in fact, has deteriorated into a small wooden projection, at which only one vessel at a time can load. 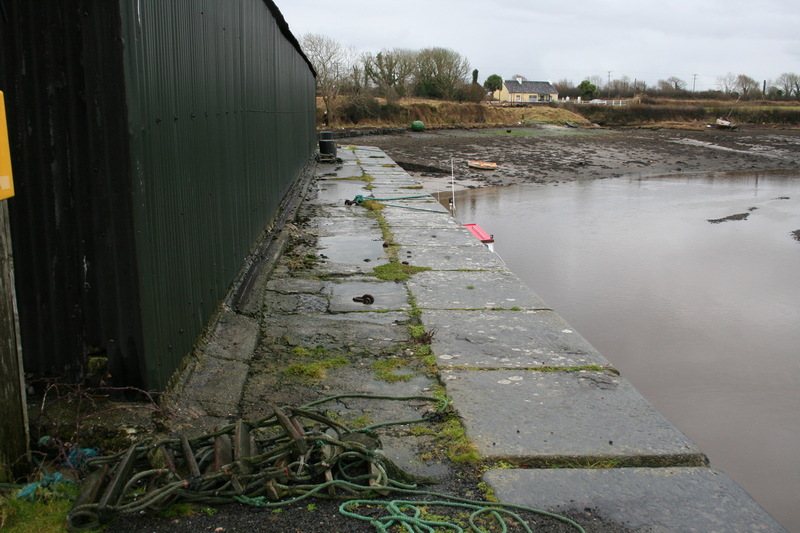 A new wharf, projected by the Commissioners for the Improvement of the Shannon Navigation, will be situated further down the river, parallel to the direction of the current, and free from liability to be encumbered at its base with silt. It is to be a work of masonry 300 feet long, ashlar on the face and rubble in the wing walls, and rendered capable of easy subsequent extension; and the bed of the river is to be partly excavated to enable vessels to approach earlier and lie longer afloat. Estimated cost, £1,839. A considerable quantity of corn is shipped in small craft for Limerick, and the trade is increasing. 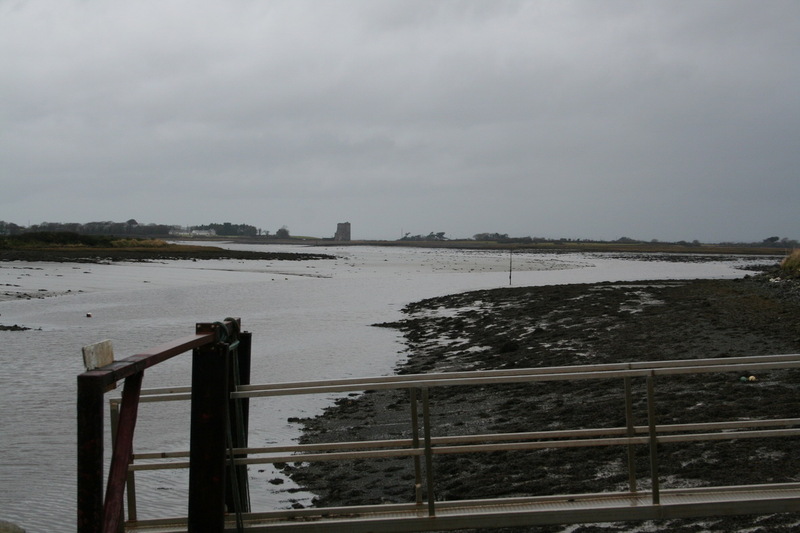 But owing to the bar at the river’s mouth, and the very winding course of the channel, vessels encounter the serious inconvenience of being able to enter the creek only at high water. 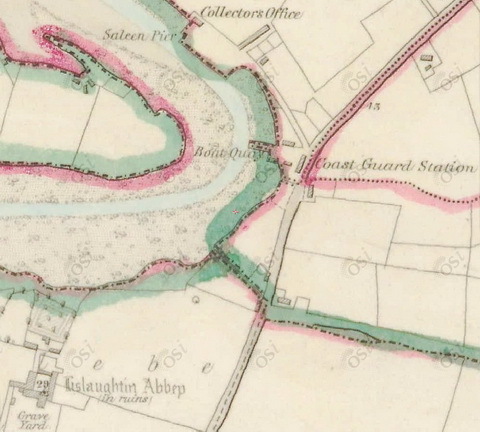 On the Ordnance Survey Historic map, you can see Saleen Pier and a boat quay, with a Collector’s Office and a Coast Guard Station. 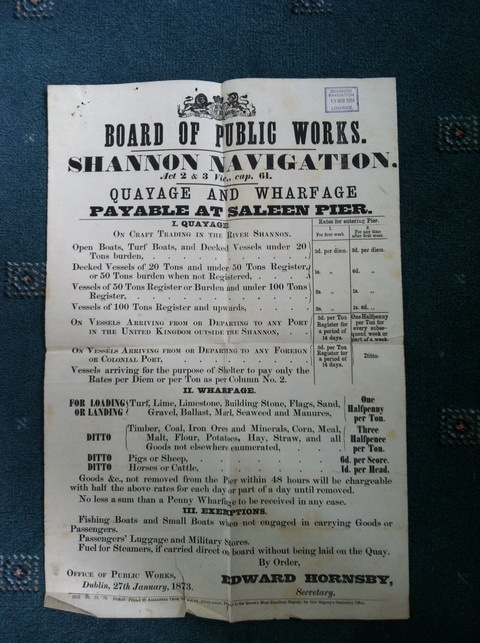 The new pier was part of the work on the “First Division” or “Lower Shannon” undertaken by the Commissioners for the Improvement of the Navigation of the River Shannon; the good Captain Mudge proposed to build or improve piers or quays at Kilrush, Carrigaholt, Tarbert, Querrin, Ballylongford, Glin, Foynes, Kilteery, Cahercon (Kildysert), Clare (now Clarecastle), the River Deel to Askeaton and the River Maigue to Adare. The works cost £1811; £891 was a government grant and the rest came from three proprietors in the district: S E Colles £504, the representatives of M Black £185 and Trinity College £230. The amounts omit shillings, so there is a difference of a pound between the total and the sum of the contributions. 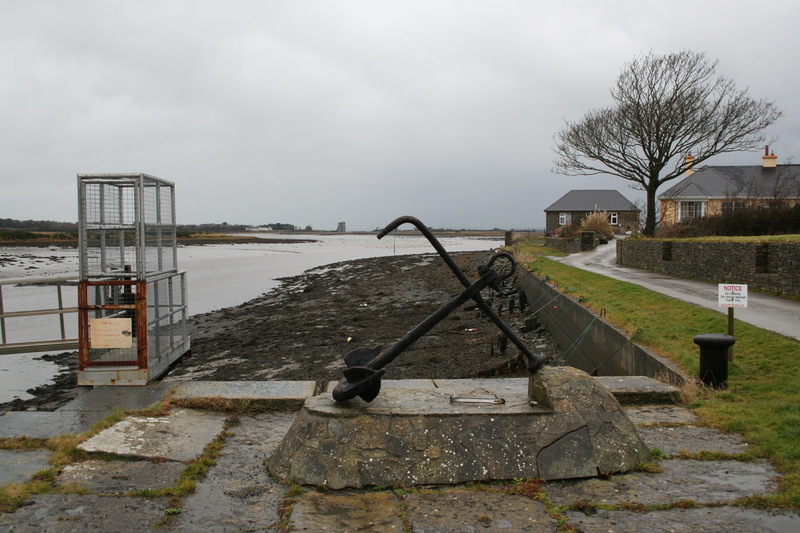 Saleen Pier was in commercial use at least until 1953: the Limerick harbour Commissioners’ Register of Vessels trading on the Shannon 1945–53 [free download, but you’ll need a DJVU viewer] shows that at 22:55 on 29 September 1953 the St Senan left Limerick for Kilrush and Ballylongford, carrying 55 tons of general cargo. Is that a withy marking the channel downstream? And is that Carrigafoyle Castle in the distance? The view is almost the same as that in the photo above, and the first word written on the drawing looks like “Sawline”, so I suggest that the drawing is of Saleen. 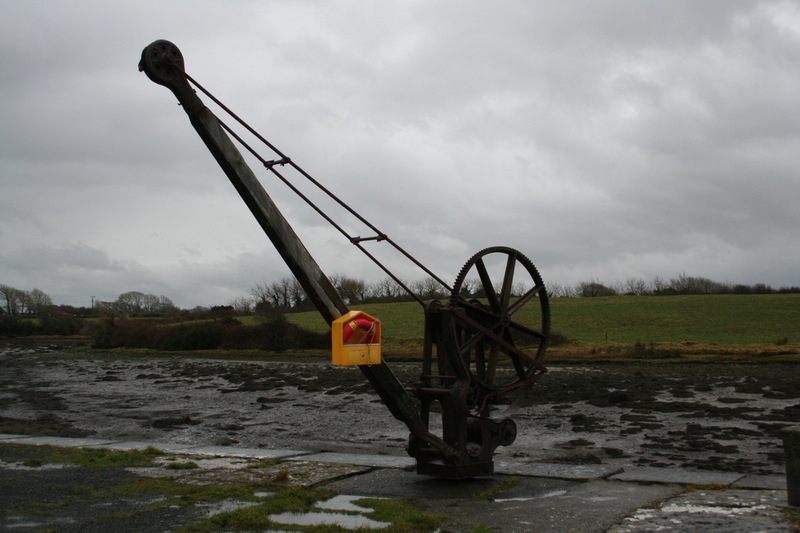 The crane is by Clarke of Ringsend, Dublin. 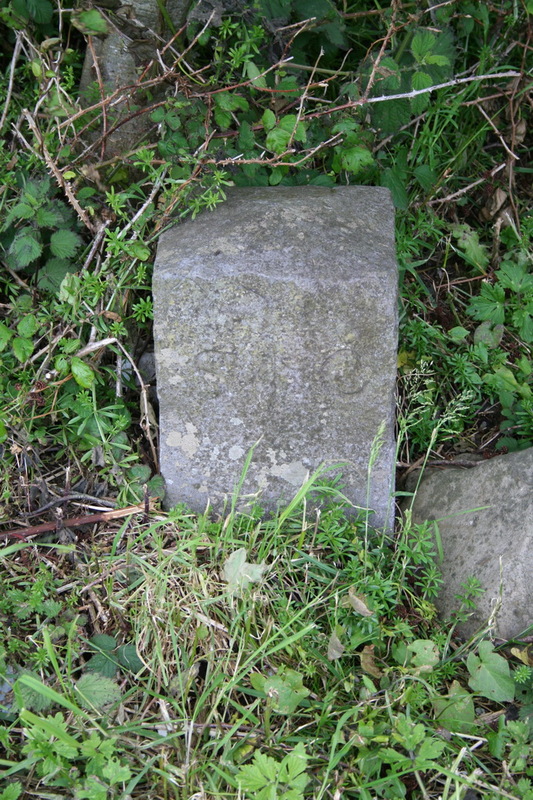 There are two stones marked S↑C at Saleen. 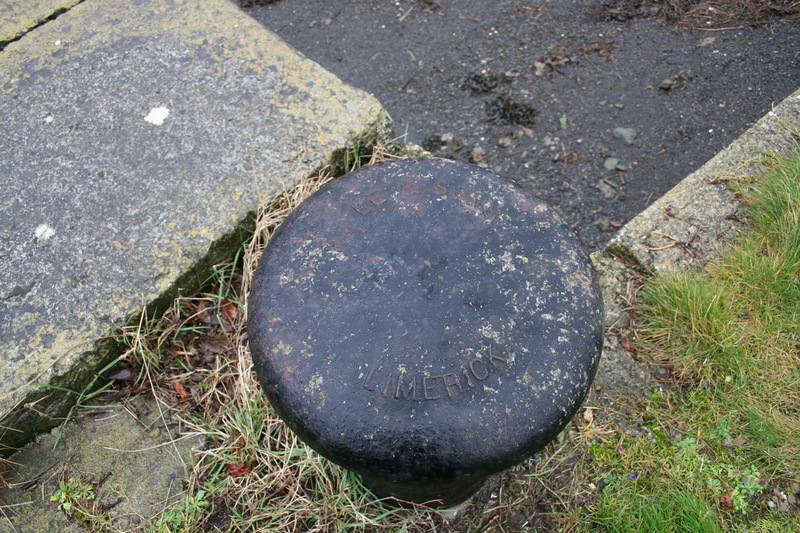 They are of a slightly different design to those found at certain other Shannon Commissioners quays, but my guess is that they too show that the quay was built by the Shannon Commissioners. 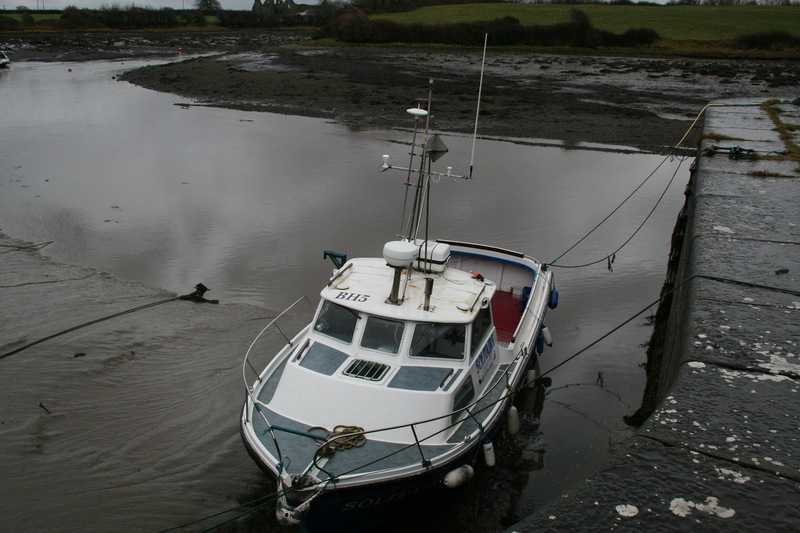 Here are some photos taken when the tide was further in. 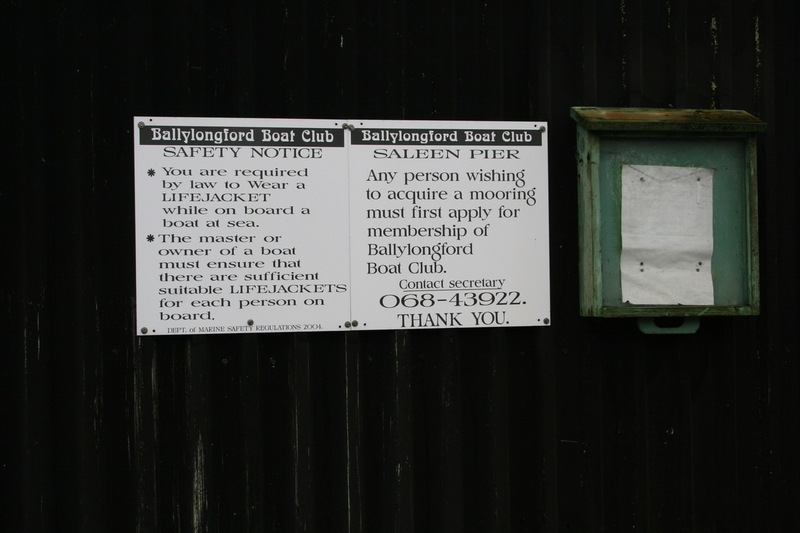 I had thought that Saleen Pier was owned by Kerry County Council, on the assumption that it had been handed over by the Commissioners of Public Works (Board of Works) pursuant to the Shannon Act 1885. However, the Grand Jury seems to have resisted the blandishments of the Board of Works. 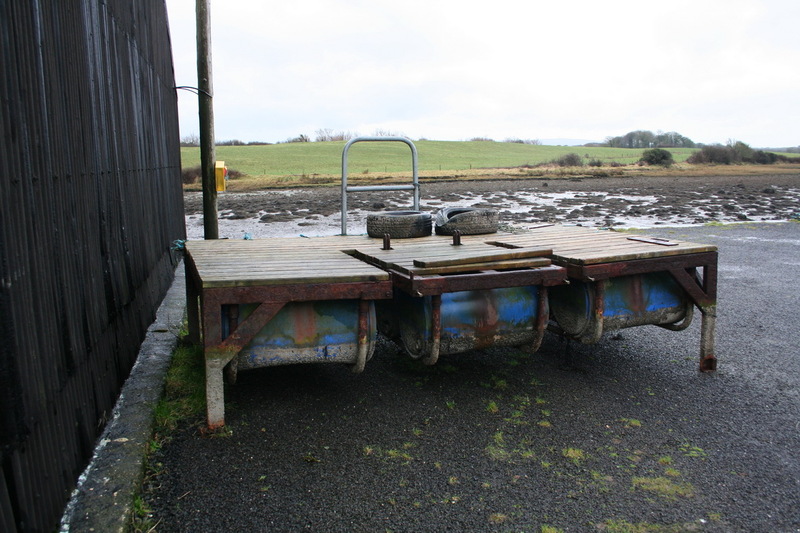 Kerry County Council told me that it had recently tried to take it over from Waterways Ireland, but Waterways Ireland said that it found that the Board of Works still owns it. 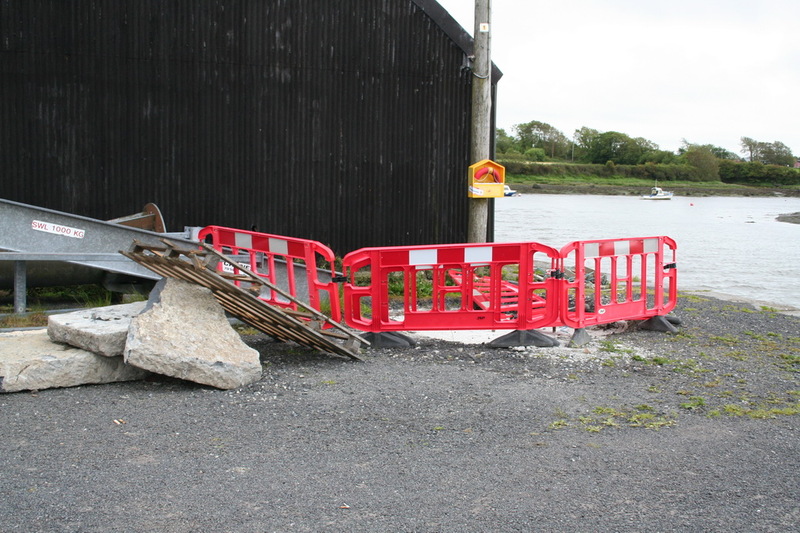 I have asked the Board of Works for further information about its operations and property on the Shannon Estuary …. 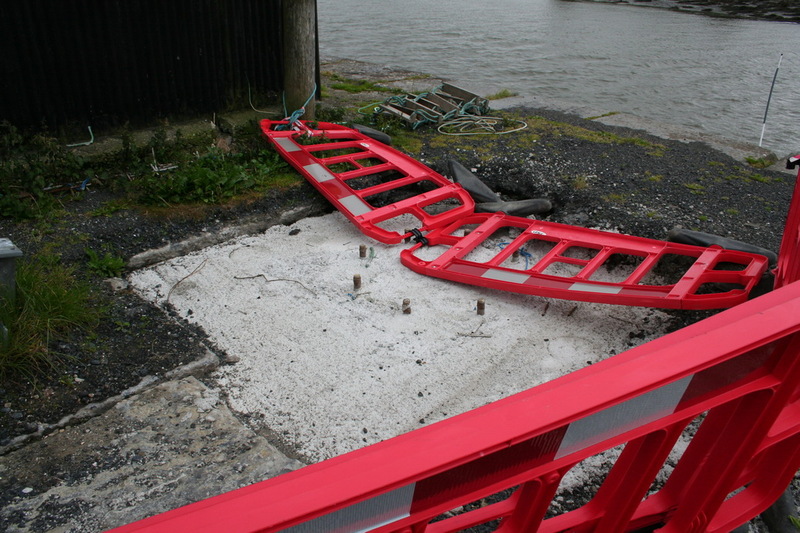 I note that in 1962 the Board of Works increased its charges for wharfage and quayage by 50%. If you are interested in topics like those covered on this page, subscribe to the RSS feed on the site’s home page and you’ll get a short message whenever a new page is added to the site.